Buttermilk Falls State Park is a 811-acre (3.28 km2) state park located southwest of Ithaca, New York, United States. A portion of the land that was to become the state park came from Robert and Laura Treman in 1924. 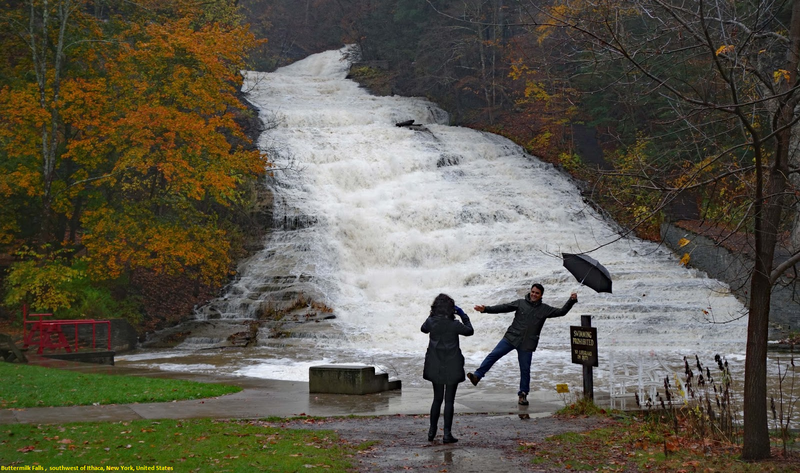 Buttermilk Falls was named for the frothy appearance of its churning waters. The naming of the cascade was described in 1866. Here cleft by a mountain torrent, that comes pouring over the sharp rocks of its bed in a mass of thick, frothy foam, that evidently suggested to the unaesthetic and domestic countryman the name of Buttermilk Falls.